iWord Processor is a powerful Word processor that allows you to create, edit and open documents along with PDF Expert, a full-featured PDF annotation ability. 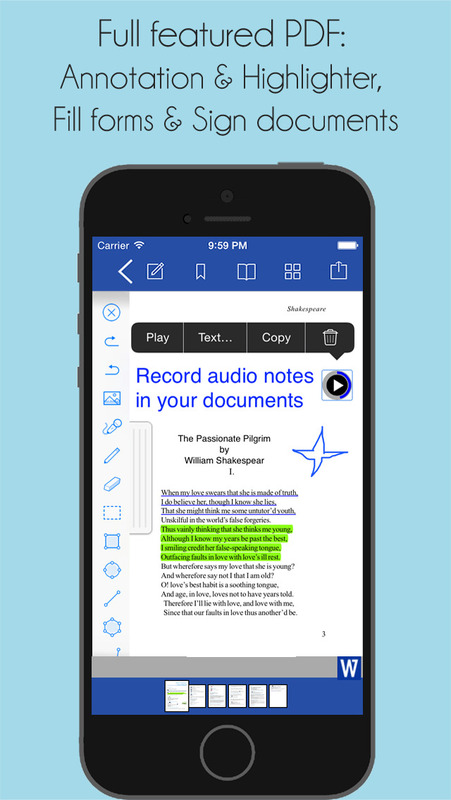 More importantly you can record notes directly in a Word document or in PDF file. 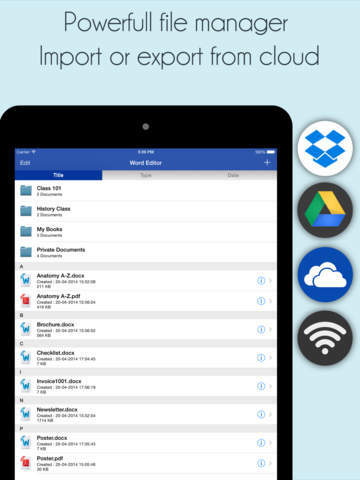 A powerful file manager is included. 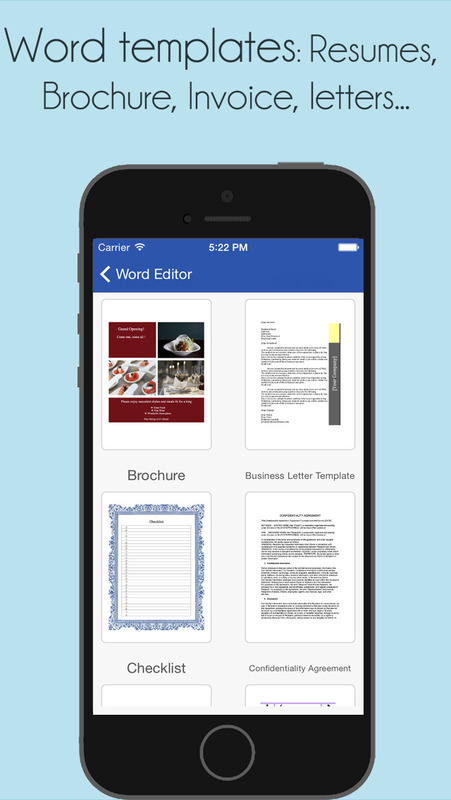 "The only Word Processor that lets you create and edit PDF. 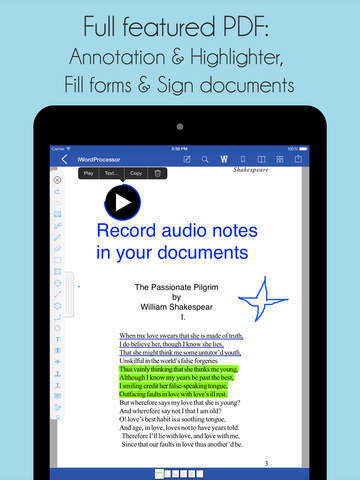 With the embedded audio recorder, write your document then replay your note anytime". 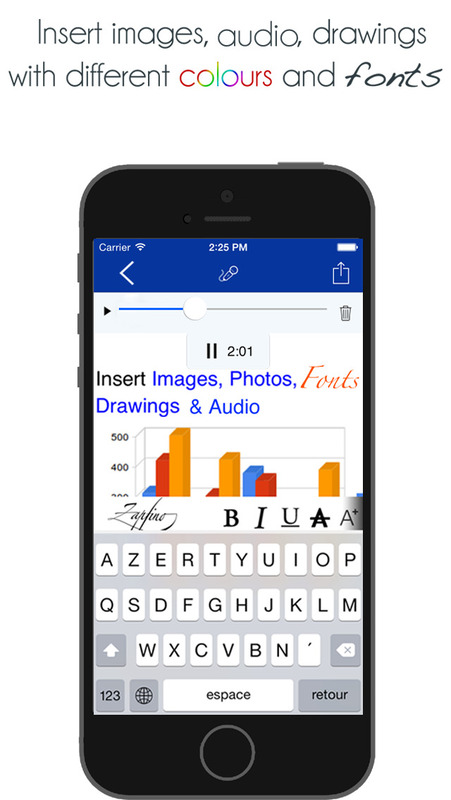 – Create Advanced Rich Text compatible to Open Office, Pages and Microsoft. – Convert Word to PDF and PDF to Word. – Convert Excel, PowerPoint and other files to PDF and PDF to Word. – Create PDF with blank page then add image, text box, table, line, square and other pre-defined shapes. – Add New page or remove page from PDF file. – Add subfolders within folder for better file management. – Rescue folder to prevent data lost. 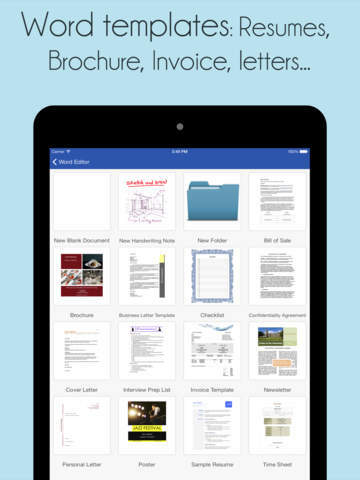 – Create and edit PDF documents. – Export and email all file formats: DOCX, PDF, TXT, XLSX, PPT, MP3, JPEG and HTML. * Ability to create subfolders for a better file management. * Adding Rescue Folder feature to prevent data lost. The Rescue Folder will save all Word document files, you can open this folder from Settings screen. * Saving Text file when device is offline. * Fixing importing rtf and doc files. * New browser to download files from Internet. Tap on Cloud button then select Download PDF.